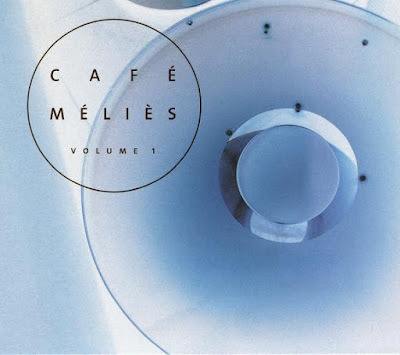 Between 2002 and 2004, Jajou Productions released three Café Méliès compilations. I got lucky one sunny Sunday afternoon when I found volume one at a flea market for 3.00$. Upon the first look, all the artists / bands featured are local i.e. come from Québec. I only know a couple of them though. It`s a Friday night, I`m alone, sitting down, enjoying an ice cold beer, it’s warm outside and this CDs playing. The music is downtempo electronic going into various sonic territories: funk, jazz, ethereal, dub, chill-out, bossa nova, and minimal pop. You will hear music from the likes of; Adam Shaki, Sule, Miguel Garcia & Stéphane Cocke, Bet. E And Stef, Ramasutra, A Zoombone Sound, Mossman Vs Mr.Tsunami, Fred Everything, Miles Moore, Rest Area, Blissom & Ashen and Jean Leloup (12 tracks = 57.51 minutes). A good compilation, but too much chill-out, mellow, syrupy and downtempo for me. The perfect summer music though. The last track, `papillon ` (Jean Leloup) is worth the price of admission so minimal, yet so beautiful at the same time. Need I say more?